Tickets: $50 individual or $80 couple. Table sponsorships available: $200 for company name/logo or $500 for company name/logo plus 6 tickets. Northeast Arkansas and southeast Missouri are rich in archeological treasures from ancient native cultures. Each year, in honor of Arkansas Archeology Month, DGM collaborates with the Arkansas Archeological Survey to present Artifact ID Day. A panel of experts from the Arkansas Archeological Survey will be at the museum to identify prehistoric Native American artifacts for the general public. We invite you to bring up to six (6) items from your personal collection for the experts to examine and provide more information about. Sorry, we cannot appraise or estimate values. A musical play based on Samuel Clemens' memoir of his early life piloting a steamboat on the Mississippi River. Book & lyrics by Douglas M. Parker. Music by Denver Casado. Proceeds benefit construction of our new Native American exhibit! 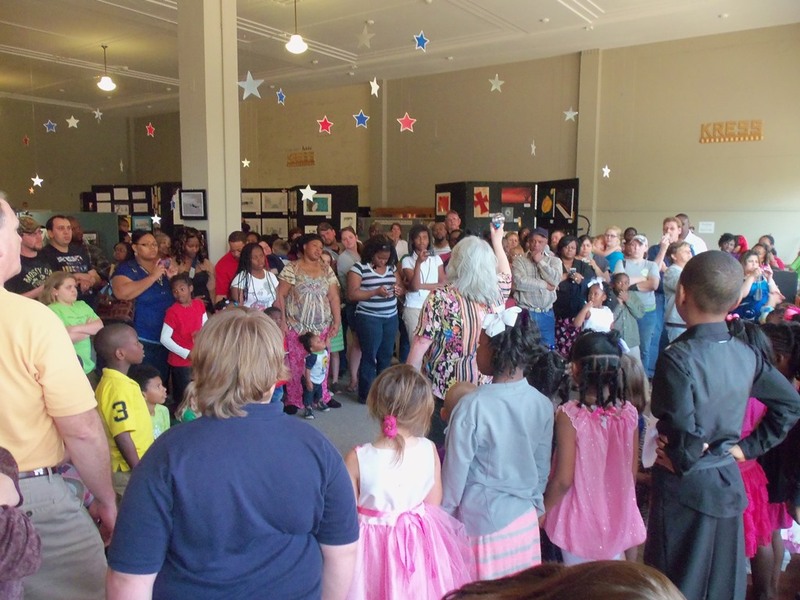 Parents, students, school officials, and the general public gathered at Delta Gateway Museum to enjoy art, music, and dance presented by Blytheville public school students. 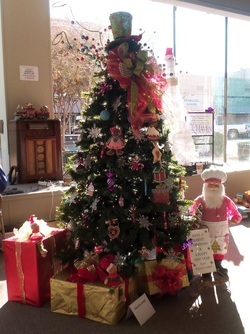 decorated by local students and teachers, civic groups, and individuals. Trees in the window! (2012) Left: The Haven, decorated by BLI. Right: Karen Davis, "Personalitrees"
Marion Haynes, local artist, archeologist, & museum volunteer donated prints of his artwork to benefit Delta Gateway Museum. He autographed prints of his work for museum supporters during Mayfest, 2012. 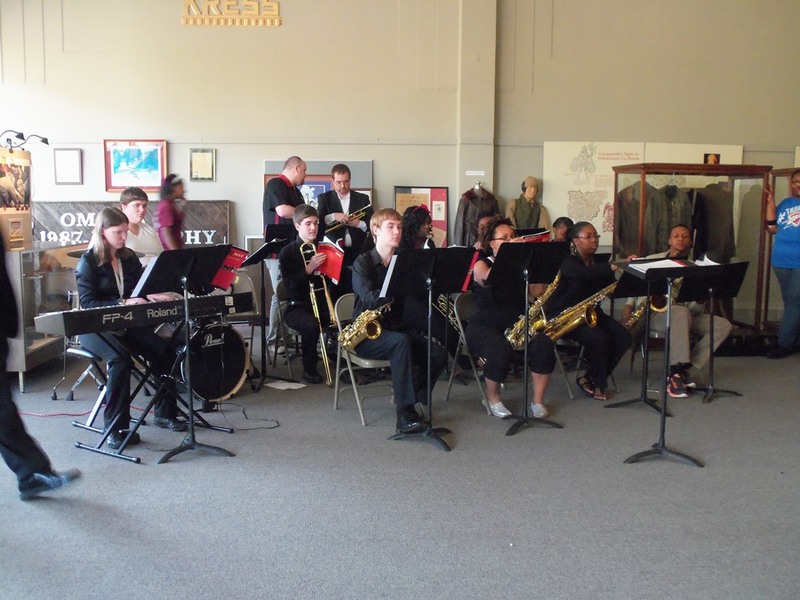 The gallery is always open during Blytheville's bi-annual downtown festivals. Be sure to stop by as you enjoy the day!